Music is one of the most universal art forms in human existence. It’s a way of expressing yourself purely through sound – no visual assistance, no colors, no shapes, nothing. Just pure emotion through sound. It’s a bit like a language, except their aren’t any words. Just feelings. It’s something that lives inside all of us in some respects. We may not all be musically inclined, but you’d be hard pressed to find someone who doesn’t like music in some way. Sure, some will be full time music fanatics, while others might like to hear their favorite songs when their cleaning up. There’s no doubt that there’s a range to the amount of interaction music has in our everyday lives. But it flows inside of us all nonetheless. When you’re raising a child, at some point its going to make sense to expose that child to the experience of creating music at one point or another. They may take interest to it, or they may show indifference. You never know, but it’s a gift you should at least allow a child to experiment with from a rather early age in their lives. There are tons of instruments that are well suited for children to pick up and start playing. Xylophones and recorders are the most often given to children, and these are great ways to start. They are relatively simple to play as far as instruments go, and they are robust enough that they can be manufactured in simple forms that even the youngest of children can play with. I’d suggest that it’s a great idea to give your child exposure to music at as young of an age as possible. You can play them music essentially as soon as they’re born, and people often find that their children take to it quite well. Obviously you’ll want to be quite selective with what you play to them, with mostly calm and soothing sounds being a safe bet when the child is particularly young. As far as giving your child access to musical instruments, I am also a firm believer that they can be introduced as soon as possible. If a child can play with toys, why not have them play with a musical instrument? Sure, before they have developed any skills it may just sound like they’re banging around and making a bunch of noise. If you’re intolerant, you may even get frustrated with this activity. Seriously though, what’s the worst that could happen? 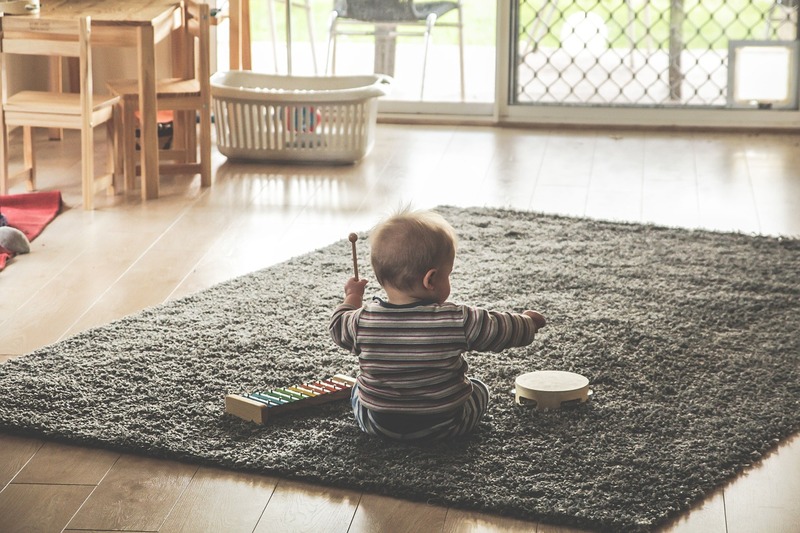 Just make sure to get a musical instrument that is designed to be child safe – something with minimal moving parts, no sharp edges, no small parts that they could potentially try to eat and get hurt. Really the same precautions you’d take in any circumstances when you’re giving a child a toy. What do you have to lose? You never know, your child may absolutely love music as well as creating music, and introducing it to them at a young age will allow them to grow up with a solid handle on the language of music, much like children grown up with a strong foundation of their native language.